The Greyhound Park Motol hasn’t got the web pages this is why we post information on our web side of owners of greyhounds. 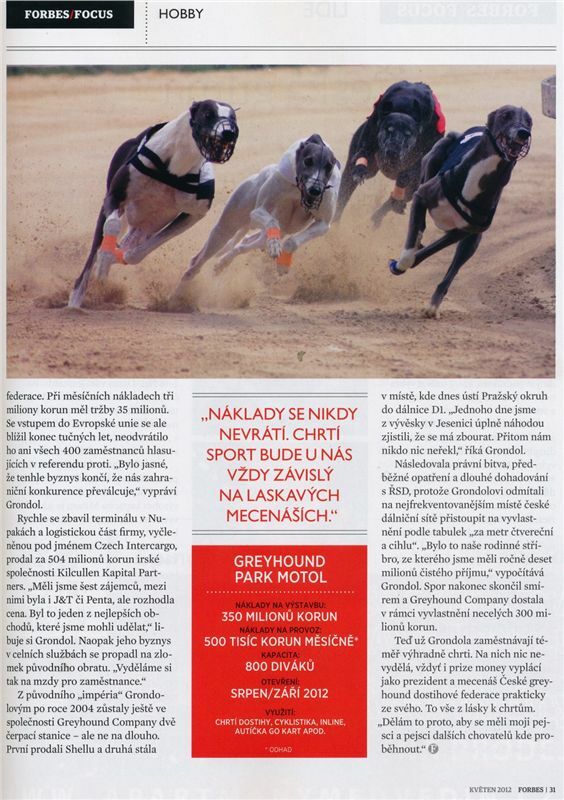 We present information from our point of view - this is not the official statement of the investor of the construction - the Greyhound Park Motol in Prague. The construction of the multifunctional sport stadium Greyhound Park Motol is situated in the area of a former abadoned footbal playground. 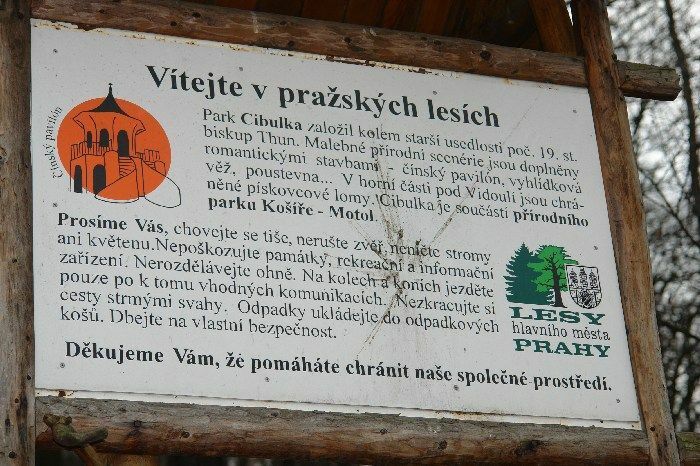 It is placed in a valley, surrounded by the Park Cibulka, a part of the Natural preserve Motol Kosire, and a geological phenomenon (natural preserve) the Motol Ordovik. 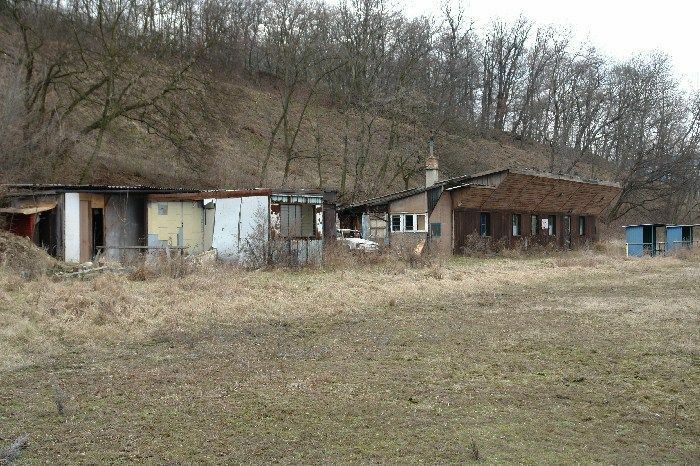 The project meets the most strict hygienic and ecological limits. 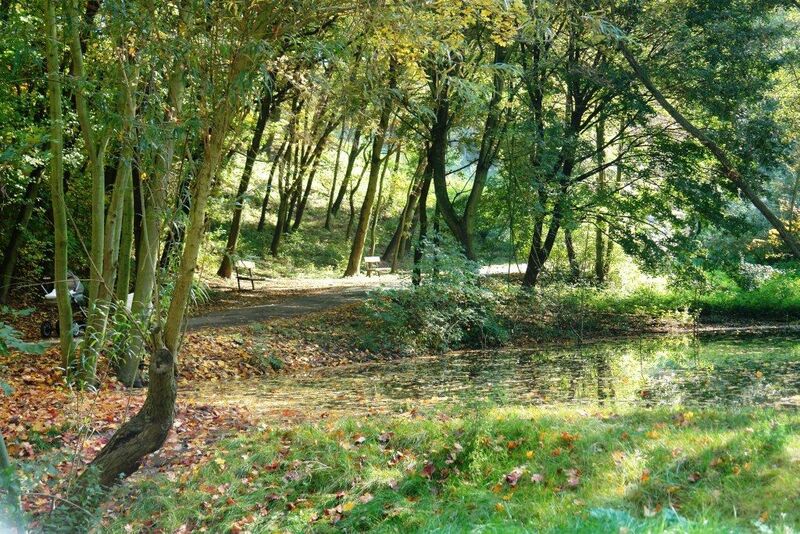 The investor´s main goal is to preserve the nature. 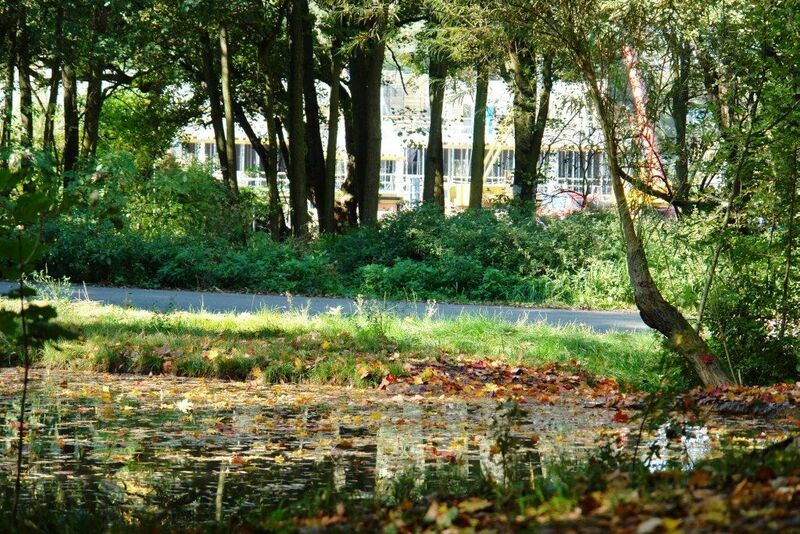 The investor Investor is aware of the responsibility for the nature protection. 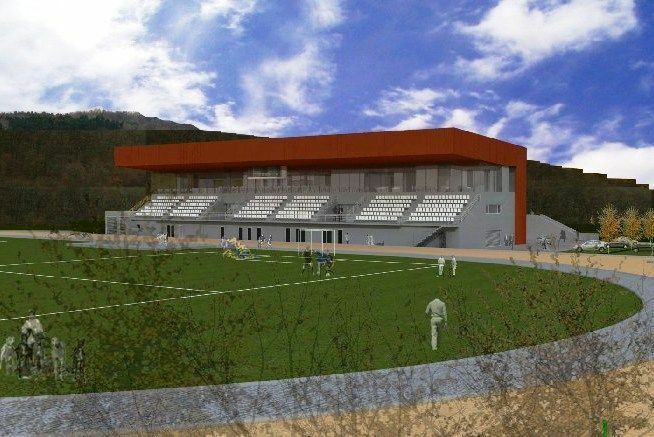 The multipurpose sport stadium will serve for various kinds of outdoor sports, social and cultural activities. There are two underground floors for garages. 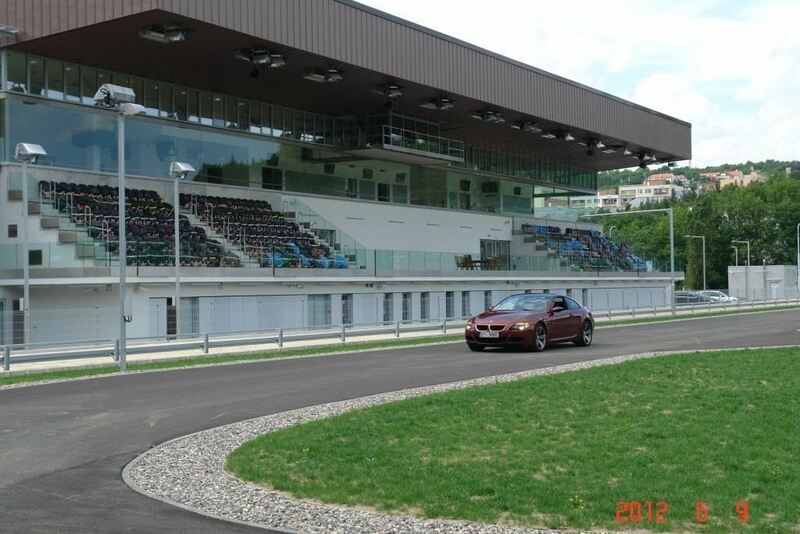 The grand stand & restaurant building can seat up to 500 beholders. Biking, in-line skating, roller skiing, football, beach volleyball,pedal go-kart races, electric go-kart races, archery, selected athletic events. 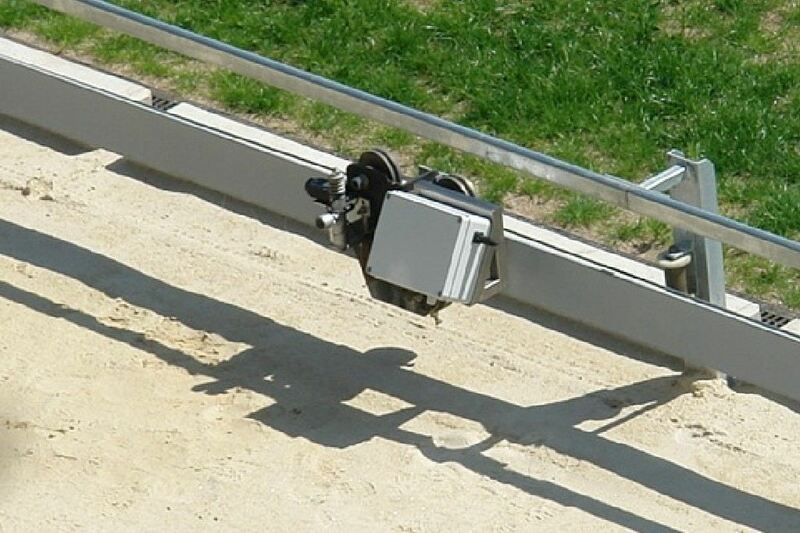 One of the tracks will serve for greyhound races, therefore the track will consist of a sand body with pitched curves. 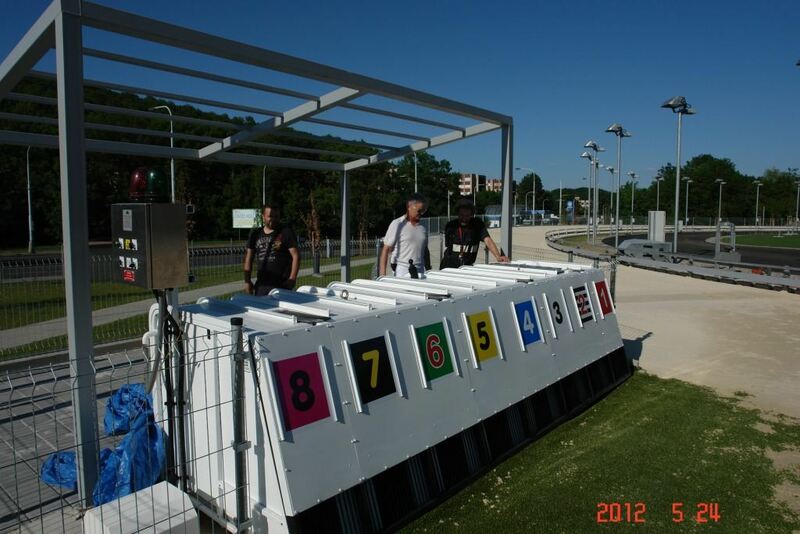 Kinds of sport and activites - multifunctional sport stadium Greyhound Park Motol. The asphalt racing oval is 377 m long, the oval is constructed for sports: cycling, in-line skating, in-line skiing, pedal go-kart races, electric go-kart races, etc. There is an inner grass playground for footbal, beach volleyball, archery, some athletic competitions etc. The sand race oval is constructed for greyhound races. Greyhounds can race in the distances 279 m (sprint), 496 m (classic) a 710 m (long) and 68 m (supersprint). 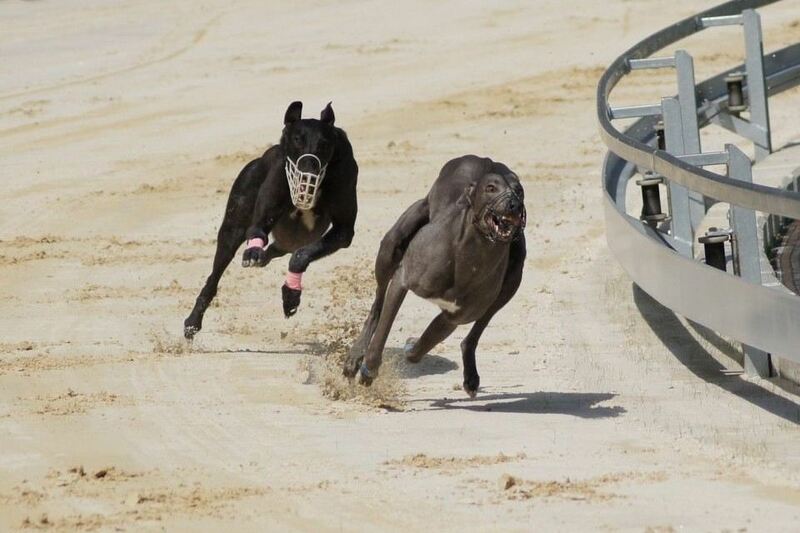 The turns of the sand racecourse body are banked, such solution is safer for greyhound races. Greyhound Park Motol is equipped with the inner lure system (manufactured by the AIMS ENGINEERING) - a standard in the Continental Europe and also e.g. 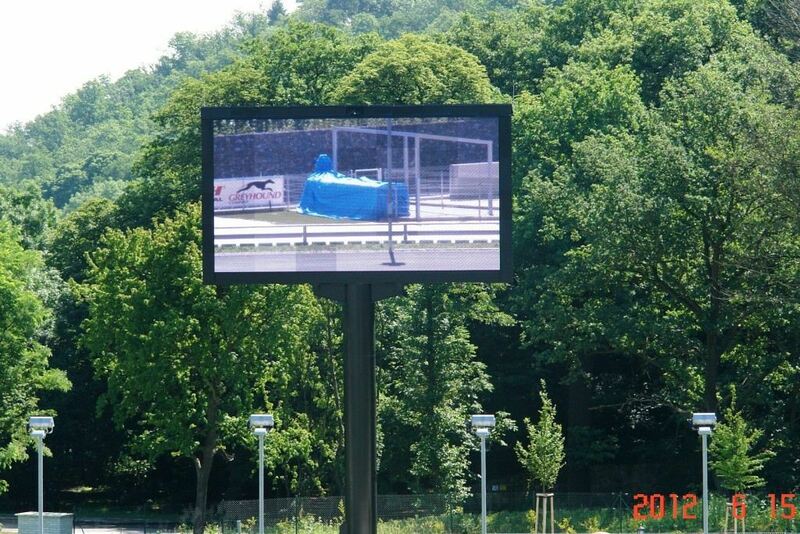 in Australia (Ireland and UK race tracks use the outside lure systems). 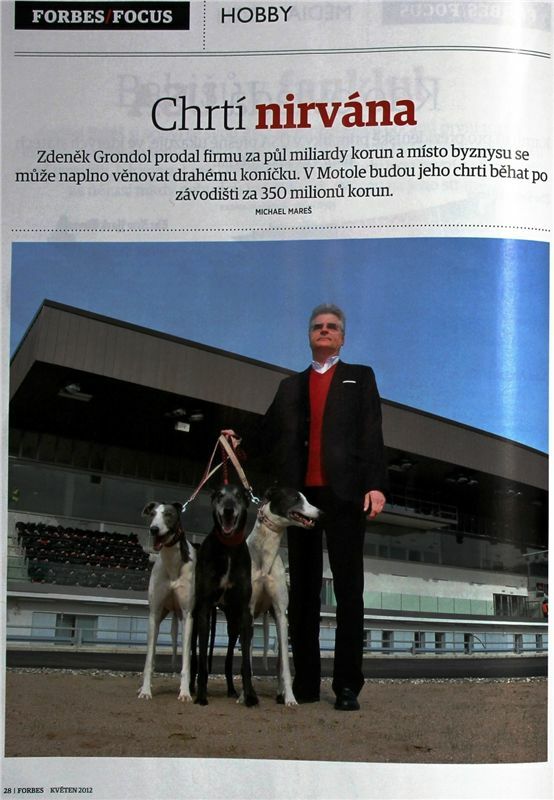 The first supposed user of the sand track should be the Czech Greyhound Racing Federation. 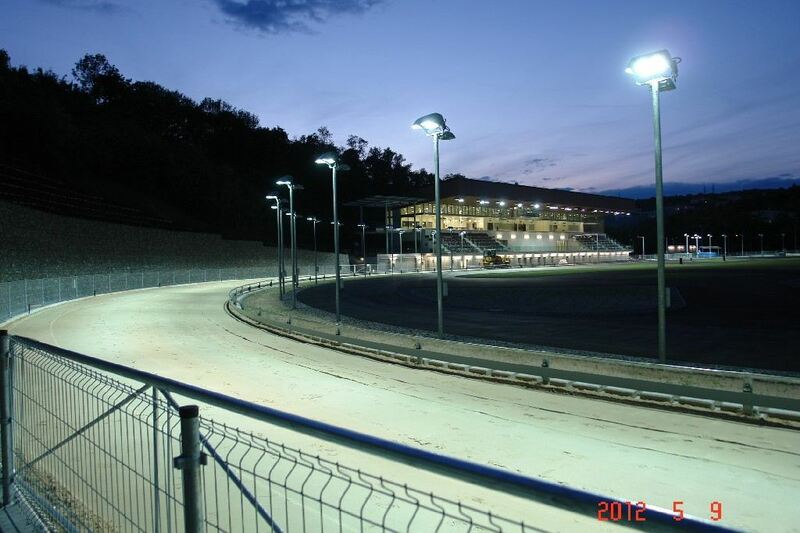 The CGRF members carry on their main activity - greyhound races & exhibitions - at the greyhound race track Praskacka near Hradec Kralove - click Greyhound Race Track Praskacka near Hradec Kralove. 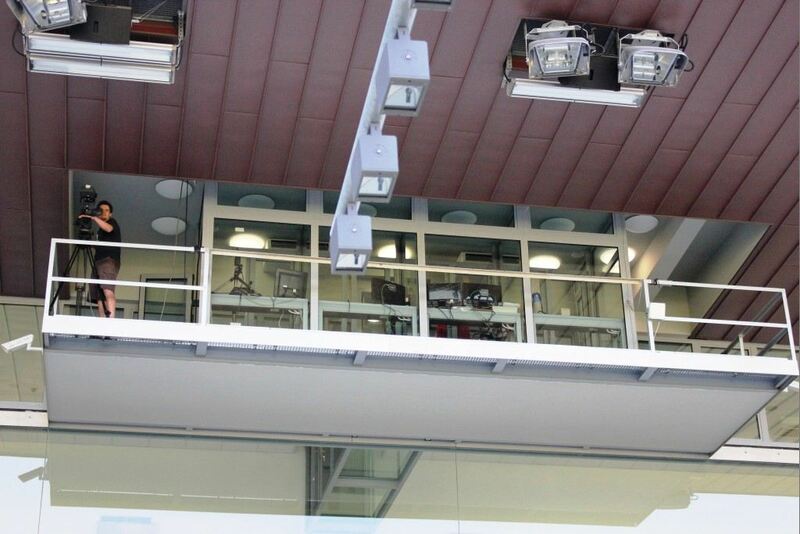 The control tower contains professional video camera (for TV broadcasts), jury control panel Track cameras), digital panel for sportscaster, communication devices (video center - control tower). In the main building there are rooms full of professional equipment, e.g. cutting room, post-production control panel, mixing audio control panel, mixing video control panel, other electronic devices. 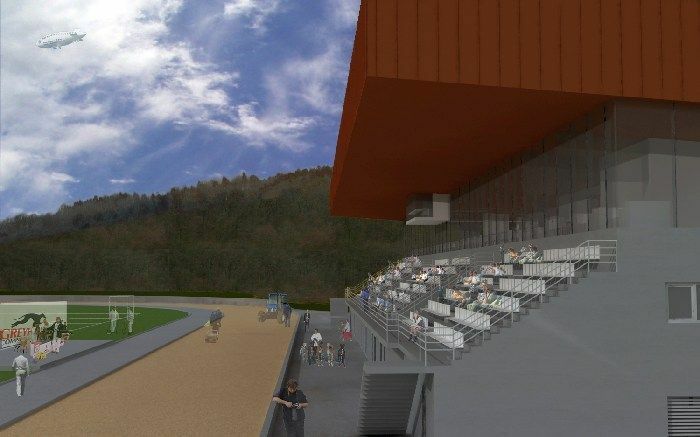 The grand stand building will be provide perfect facilities for sportsmen - cloak-rooms, bathrooms, storage areas, and also visitors, bistro, restaurant, parking places & garages. Greyhounds can stay in the air-conditioned kennel. 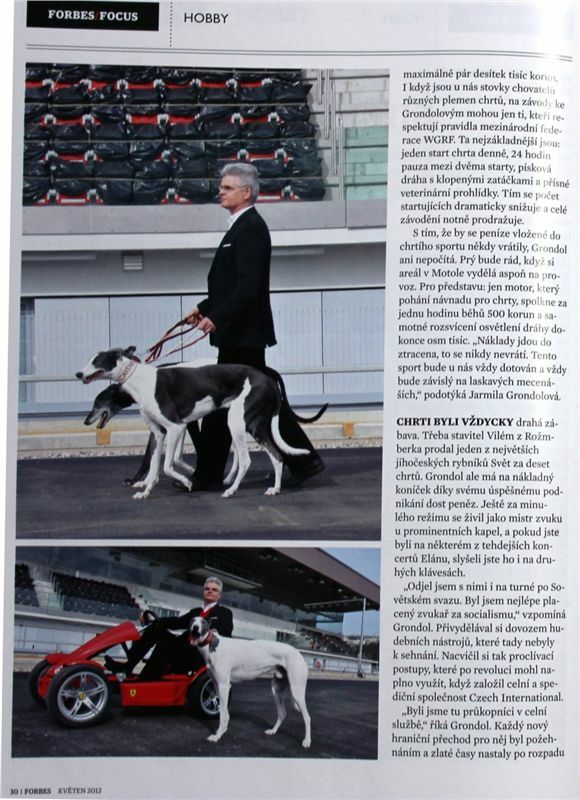 No doubt that broad public will benefit from the sport stadium Greyhound Park Motol in spite of the fact that the construction is not financed either european funds - it is financed only by a czech company. 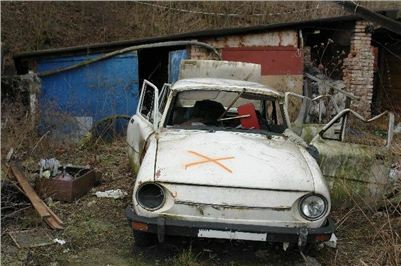 The investor is the CZECH INTERNATIONAL, a.s. 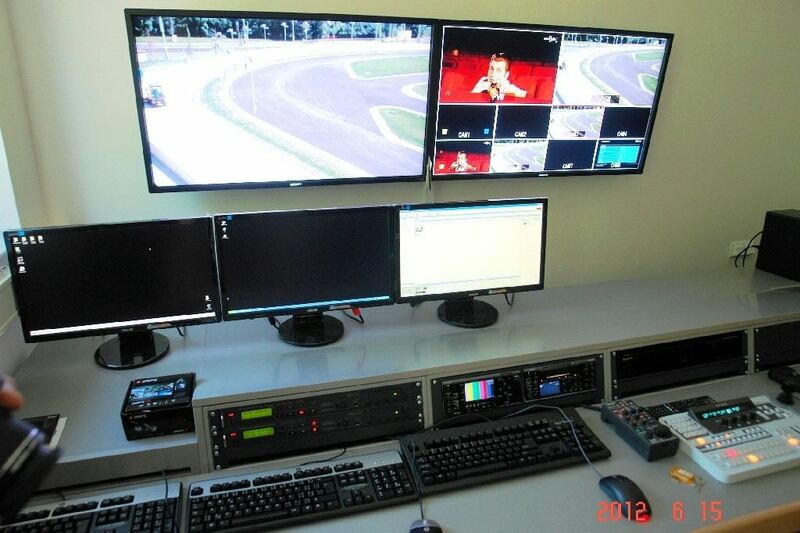 The supplier of racing technologies is the Greyhound Company, a.s. Such sport stadium anywhere in the world is not profit-making business, more to the contrary it is rather a charity of a patron of sport. The Greyhound Park Motol is easily accessible because of the Plzenska street - a major traffic artery for surrounding suburbs, e.g. 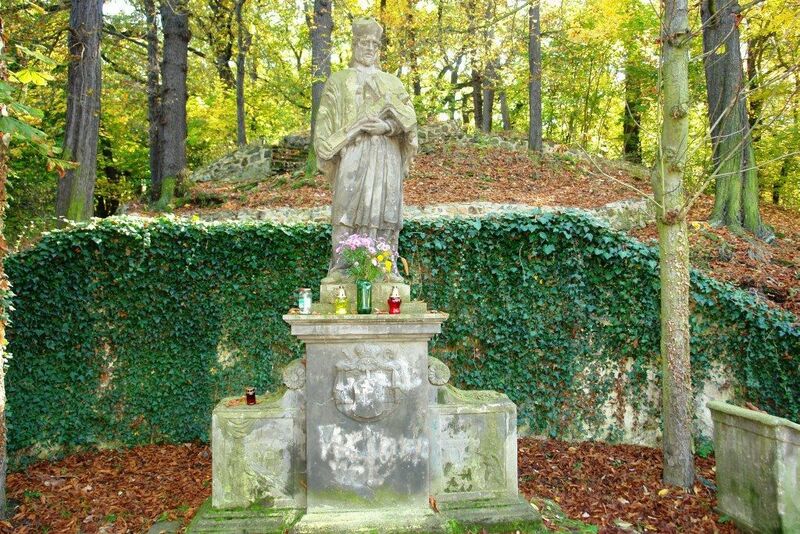 Řepy or Jihozápadní město. It is the most important main road to the Prague center and it goes through the business quarter Smíchov and the Anděl business center. The Greyhound Park Motol stadium is located cca. 5,3 km in a beeline from the Wenceslas square.